Founded in 1937 and located in the beautiful city of Portland, Oregon –Warner Pacific University is a Christ-centered, private liberal arts college that is dedicated to making higher education accessible and equitable to students from diverse backgrounds. Smaller class sizes provide our students with a personalized, holistic education in a welcoming, safe environment. We understand the challenge of walking the college journey alone, which is why at Warner Pacific, we are leaders in relational learning. We believe that a degree should be more than just a piece of paper. At Warner Pacific, you will gain the confidence, knowledge, and professional network you need to make a difference in your family and in your community. Warner Pacific is a Christ-centered, urban, liberal arts college dedicated to providing students from diverse backgrounds an education that prepares them to engage actively in a constantly changing world. We are reinventing higher education. The current model of higher education is designed to meet the needs of the advantaged. 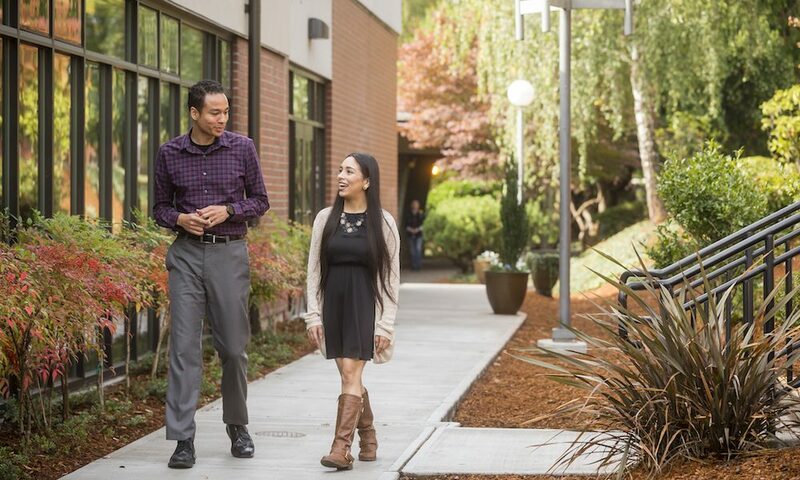 Warner Pacific makes college more accessible for students from diverse racial, ethnic, and socioeconomic backgrounds; those who face significant challenges when trying to earn their degree at other institutions. Warner Pacific’s dedication to increasing diversity in higher education is apparent from the moment you step on campus. Over 60% of our students come from racially and ethnically diverse backgrounds. Of course, diversity includes more than just race and ethnicity. Our commitment to innovating education has opened the door in important ways to many of our students, including the 57% who are the first in their family pursue a college degree. Warner Pacific’s liberal arts approach invites you to seek answers to difficult questions and will challenge and expand your comfort zone in order to explore the ways in which you understand society, community, and faith. Liberal arts graduates are life-long learners who can think critically and follow the twists and turns of any modern career path. At Warner Pacific, a student-faculty ratio of 12:1 means professors know you by name and are dedicated to guiding you throughout your college experience and beyond. As an urban college designed to serve students from diverse backgrounds, we know that for a city to thrive, its leaders must be prepared to engage actively in a constantly changing world. Students at Warner Pacific participate in hands-on service throughout our community. Our Local Connect program links students to meaningful long-term service opportunities that align with their unique skill sets and interests. We believe civic engagement empowers students to develop and apply their educational skills outside of the classroom in a practical environment, network locally, gain real-world experience, and effectively work toward lasting positive social change.